Hey Guys! Long time no see. I was on a roll with this blog thing and then life happened I guess. But we are back. And I am going to tell you about another side project that we have been working on this past year that has ABSOLUTELY NOTHING to do with Furniture. But isn't that the best part? That Chris (tattooed, bearded, SUPER FRIENDLY CHRIS) has had this whole lifelong career designing infant toys. I know! Who knew? So as fate has it, Chris designed these super funky soft toys for babies that meshed different animals together and had big googly eyes and pouffy tails. We loved them but they never went anywhere. It was kinda a shame that only Evie could enjoy them. Our best friend Lex who is an avid reader, writer, movie buff, hermit crab introvert said she wrote a story about one of them. The story was about how a baby (in this case our Evie) imagined her best friend Ollie. Lex was one of those kids that had a ton of imaginary friends. Apparently imaginary friends are super common. Most children have them, though only some really remember. I had one named Sam (because Sammantha was my favorite American Girl Doll- the Original American Girl Dolls- dating myself I know). But I really just wanted a break from my sisters I think. Inklings come from the idea that a tiny spark in a child's imagination can create something wonderful and unique. The stories that accompany each Inkling show how a single spark can create a caring imaginary best friend. Because children aren't held back by what things are "supposed" to be, they are free to imagine and create without limitations and free to love without prejudice. Inklings are genderless and the children who imagine them are diverse. We believe in a world where creativity, kindness and acceptance are virtues that should be admired. We want to help bring that idea to this new generation. Our goal is to create many unique Inklings and write additional stories for each to teach those key values. 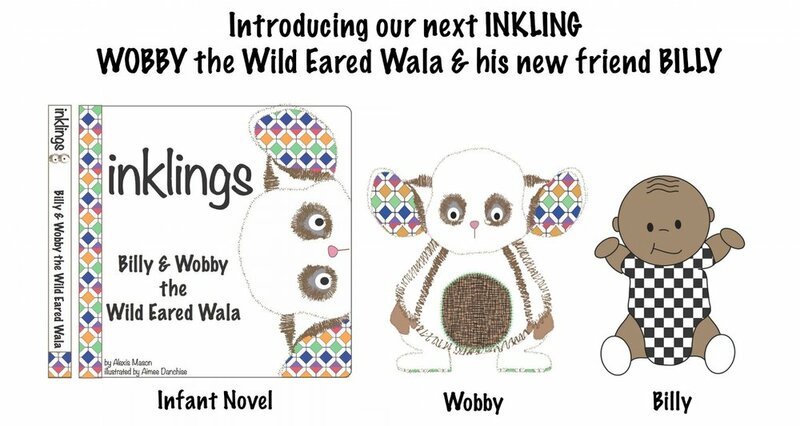 We at Inklings think that girl toys and boy toys are old news and that's why we designed inklings with every child in mind. 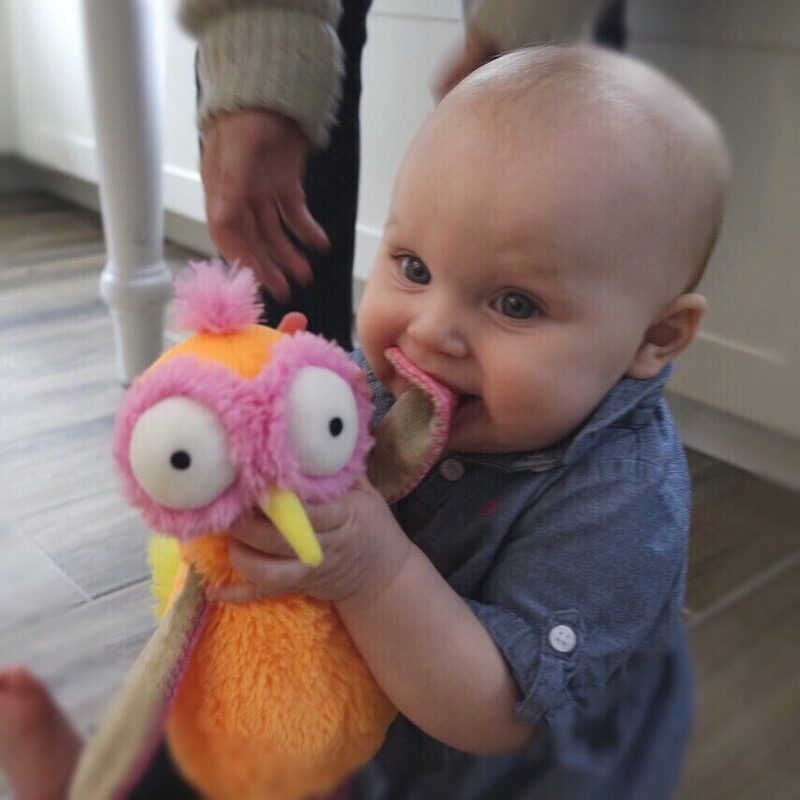 We just launched our Kickstarter campaign to fund our first production, which includes the infant novel "Evie & Ollie the Oddball Oddbird" and Ollie the soft toy. Day 5 and we are currently 70% funded which is awesome. We have 30 days to reach our goal. And Kickstarter selected us as a "Project they love" which definitely gave us some much needed validation. Here is our Kickstarter link if you want to check out the super cute video that Lex made starring a few babies we know... Also my longtime buddy Dan Olivo from Slow Cities created the background music, because fortunately we have some pretty talented friends.